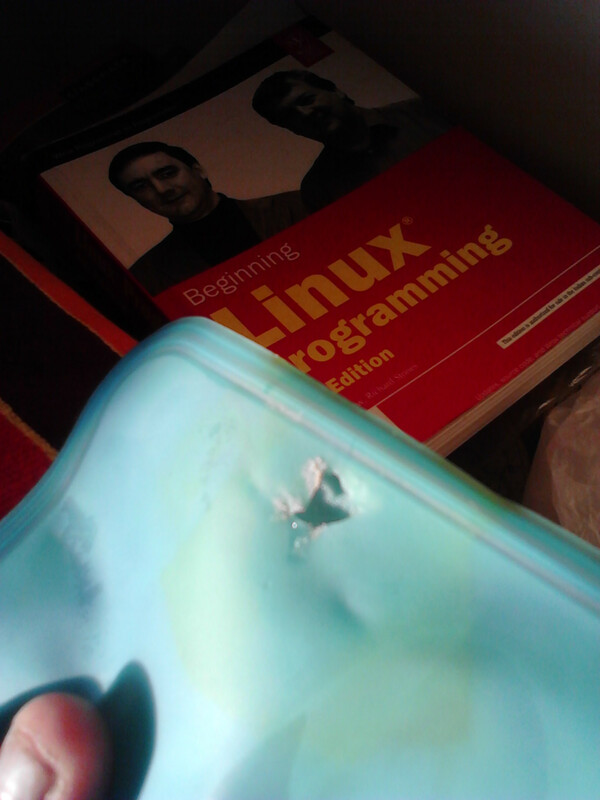 Its somewhat wrong to say a leak, I should rather say a small hole. But how would you go about sealing/fixing it? I know many of us would say, "Why so much trouble? trash it, and get a new one", but still I'd like to receive any ideas if you can think of. Push the torn area up to the mouth and apply a bike tire patch to it from the inside (make sure it's dry). Then apply another patch from the outside. Where the two patches bond together will form a plug that should stand up better to water than a single patch. You could try something like Shoe Goo or similar. Just dab on a small amount to seal the hole and ensure it doesn't stick to the opposite side of the hydration pack internally be keeping the sides separated until the Shoe Goo has dried. I repaired a small hole in a waterproof Ortlieb bag quite a few years ago and it is still holding up as a repair. Not the answer you're looking for? Browse other questions tagged gear-care hydration-bladders or ask your own question. What to do with old hydration bladders? Why would I want a pressurized hydration pack? Can a person picky about water taste use a hydration bladder? Keeping the hose on a hydration bladder from unscrewing?